Adoption was something we had contemplated during the several years we were battling infertility. Our faith was tested during this long and difficult time. Against all odds, we were ultimately blessed with our first son. We still wanted another child but did not want to go down that path again. Adoption made us nervous for so many other reasons. 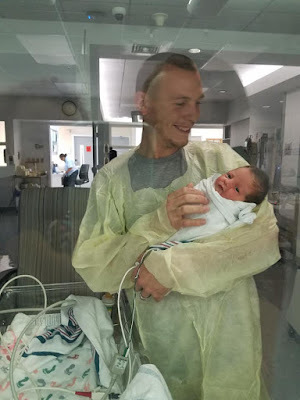 We had so many questions: what if we did not match, what if the birth parents change their mind, what about all the paperwork, who will help us along the way, how much will it cost? Very close friends of ours had recently adopted their son with the help of Christian Adoption Consultants and highly recommended them. That was the last push we needed to take the next steps. We emailed CAC the next day, and Leah contacted us shortly after. From the moment we first spoke we knew she was a perfect match for us. She was so kind, supportive, understanding, and knowledgeable. Leah was there supporting and praying with us every step of the way. From the beginning stages of getting home study approved, to presenting to expectant parents, hearing the “no’s”, celebrating the “yes”, to bringing our son home, she was right there with us. I don’t think we could have done this without her. We presented many times before we matched. Leah would kindly remind us each time that it was not God’s plan, and our baby was still out there. After a few very difficult “no’s” we decided to take a different approach. 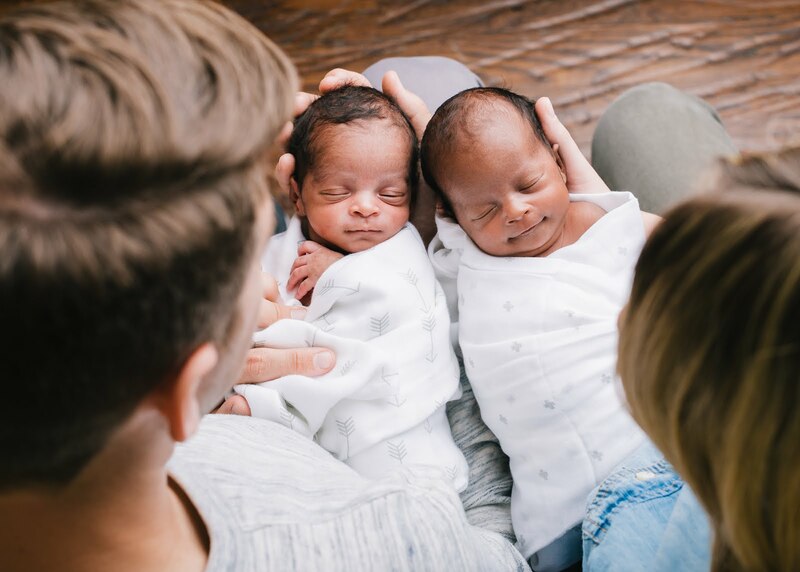 Instead of mourning the “no’s” we choose to celebrate each baby’s match and pray for that child, birth mom, and the new family that finally got their “yes.” It really helped us stay positive during these difficult times. We knew our time would come, just not when. We rejoiced after nine long months of waiting, we finally got our “yes!” We were so nervous to talk to our son's birth mom, but when we did we could not have been happier. This was God’s plan for us. Something we were particularly nervous about were all of the unknowns surrounding the relationship we would have with birth mom. The precious few days we got to spend with her and our son in the hospital were such an amazing and beautiful experience. We have difficulty putting those moments into words. Even as we write this, months later, we both get choked up thinking about how wonderful our relationship is developing with her, and how blessed we are to have both our son and her in our lives. Although the road was bumpy, we put our trust in the Lord. In the end, everything we questioned and worried about worked out as He planned. Going through this process together as a family has strengthened our faith in God and our love for each other. It was amazing during the months that we were going through our journey how the messages each week in church seemed like they were meant for just for us, with reminders of patience, strength, and trust in His plan. We are all closer now and happier than ever, with each day being more of a blessing than the last. We believe adoption is an incredible picture of God’s love for us and a picture of the cost He paid to make us a part of His family. Looking back over the past year and our adoption journey, it’s cool to look at moments that felt so confusing or painful and now see how they led to something so amazing, our precious son. As we faced the heartbreak and hopelessness of infertility and a miscarriage, we believe God was working in our hearts and preparing us for the story ahead. God taught us so much throughout the process. It required daily surrender to the Lord’s plans and not allowing fear or doubt to guide my heart. Waiting is so hard. Feeling totally out of control is even harder. Hearing “no” is difficult, it’s hard not to take it personally or feel like something is wrong with you. It was in these places that brought personal and spiritual growth for us individually and in our marriage. We received a phone call from an attorney in mid-June, totally out of the blue and unexpected. He told us of an expectant mom and her baby boy that was due in November. She opted to allow the attorney to choose an adoptive family for her as this decision seemed much too overwhelming for her. The attorney looked over the list of profiles in hand and chose us to be the adoptive parents, if we chose to say yes. As we looked over her information, everything about it seemed right. Honestly, after looking at previous situations and presenting to a handful of other cases, we always wondered what the “right one” would feel or look like. It’s so easy to overthink the process and look for things written in the sky. That obviously did not happen for us but there was a peace and confidence with this situation that we just knew this was to be our son. We took time to process and pray, and quickly gave our “YES”. And then began the long wait. On September 4 we received a call that A (our son's birthmom) was admitted to the hospital for pre-term labor at just 29 weeks of pregnancy. The doctors worked hard at stopping the contractions and from many states away, we prayed hard. This cycle of frequent hospital admissions would continue to repeat itself for the remainder of the pregnancy. We had most of our bags packed and phone within reach at all times. By the grace of God, our son Oliver made it full-term, in fact just a few days short of 40 weeks! We will never forget the moment we saw him for the first time. Instant love, joy, and overwhelming healing from the years of grief. 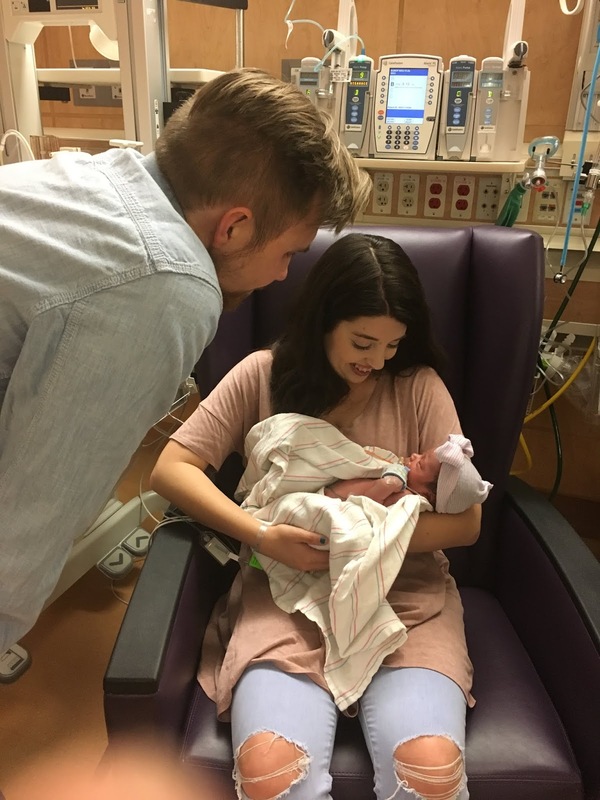 One of our biggest answered prayers was the opportunity to meet and develop a relationship with Oliver’s birth mom for the first time in the hospital. The moments we were able to spend with her were sweet, emotional, and will forever be cherished. We have stayed in contact with her since returning home and are so excited to continue to grow our relationship. She is so special to us and her bravery and selflessness shown in her decision is something we respect incredibly. Leah was amazing and a strong support system throughout our adoption journey. 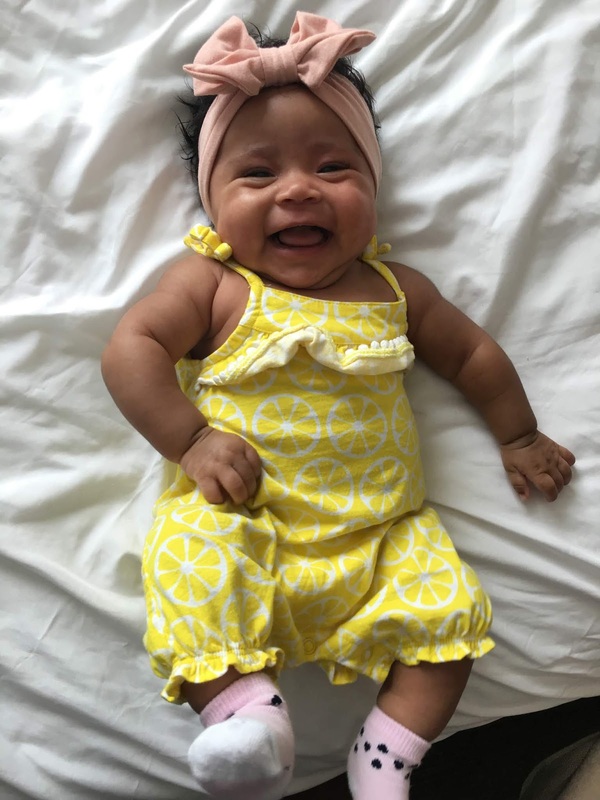 She was very quick to respond to my e-mails, answer any and all questions we had and was able to identify with the many emotions felt during the adoption process. She reminded us countless times that God was in control, that He had the right child already planned for our family, and that all the “no’s” were leading us to our “yes”. Our hope and prayer is that Oliver’s life and our adoption story would make much of God. That it would speak of His goodness in the midst of brokenness and hopelessness, and that it would display His faithfulness in even the smallest details of this story. Congratulations Kyle and Bri! It was such an honor to walk your family through this process! Considering adoption? I would love to chat with you more about working with CAC! Email me at Leah@christianadoptionconsultants.com for more information! Can I let you in on a little consultant insider secret? I genuinely love the adoptive families I work with and through the emotional roller coaster of adoption, I get to watch intimate details of their story unfold. We start the process as strangers and by the time their adoption is over, I consider them friends. We often email multiple times a week and when their little one is home I celebrate BIG! But, selfishly, I miss our frequent chats and emails. So, when a family comes back for a second adoption and I get to walk alongside them again, it is such a blessing! 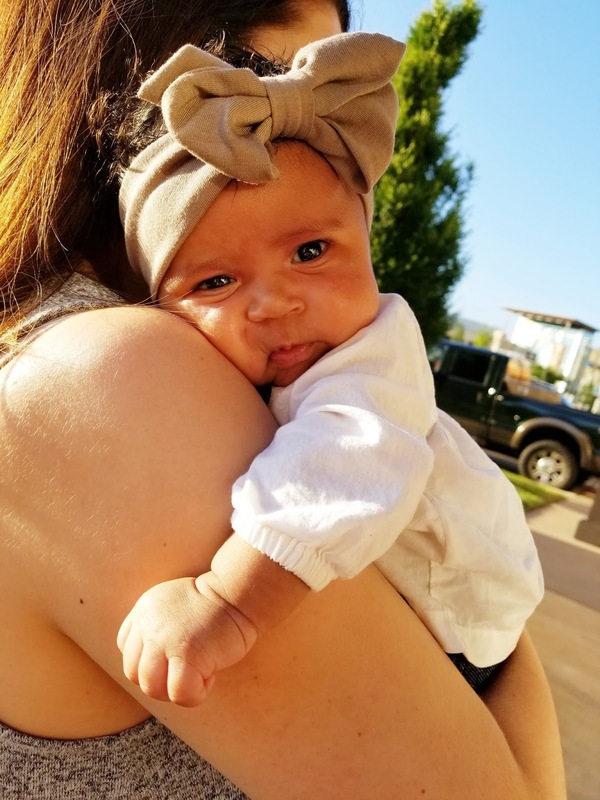 Our daughter Milli turned one in March of 2018 and about the same time, our hearts were feeling called to adopt again. Austin and I started talking about how we wanted to approach our second adoption. Did we want to try something more local to try and save expenses? Did we want to go with the same route as Milli - something that worked and we were comfortable with? After some research, we knew we wanted to sign back up with Leah and CAC. It was so comforting to be back with someone we trusted and who cared just as much about our family as we did. We started with updating our home study and became an active family with CAC at the beginning of July. When you have already adopted once, some parts of the process are much less daunting because you have already been there. 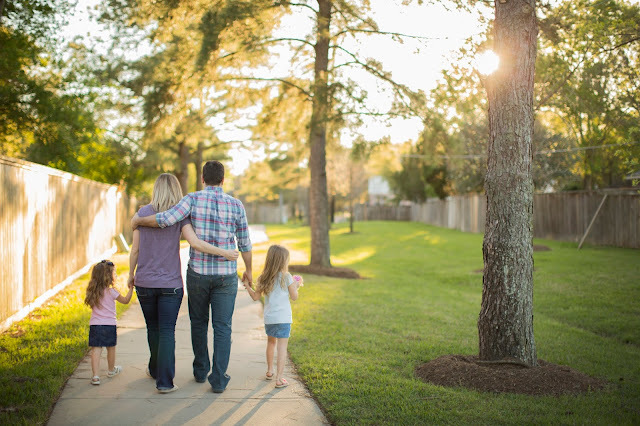 We were so comfortable with our social worker and updating our home study, comfortable with updating our profile and knowing how the general process of adoption worked. We'd done this before. It should be much easier this time around. But, fear started creeping in pretty easily. One of our fears was that we had already blessed with a very young daughter, will any expectant parent want to choose us? How long will the waiting process be with one child already? Leah was such a blessing to us during this time of uncertainty in the waiting process. She prayed a lot for us. With Milli's adoption, we only were an active family for two months. Once two months hit our second time around, second-guessing and fear started creeping in... the fear of our dreams not coming true, our family not growing as we prayed so deeply for. But Leah was there for us, she kept reassuring us that God had child in mind for us. I can't remember exactly how many times we presented our second time around. I do remember the complexity of some of the situations and how knowledgeable and reassuring Leah was during those times. One phrase that always stuck with me while deciding to present or not is, "God will not let you miss your child." Adoption can be scary, with so many uncertainties, and we felt out of our "comfort zone" many times. I know we could not have done this without Leah's support and experience. 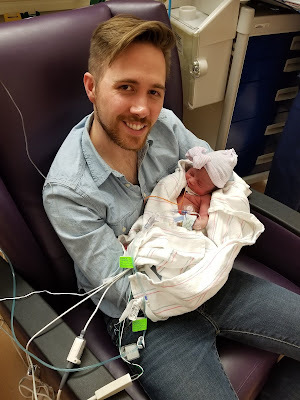 On October 31, 2018 our second beautiful daughter Elli Isabella-Mae was born. What a beautiful little peanut she was and what a wild and crazy ride it was bringing her into our family. 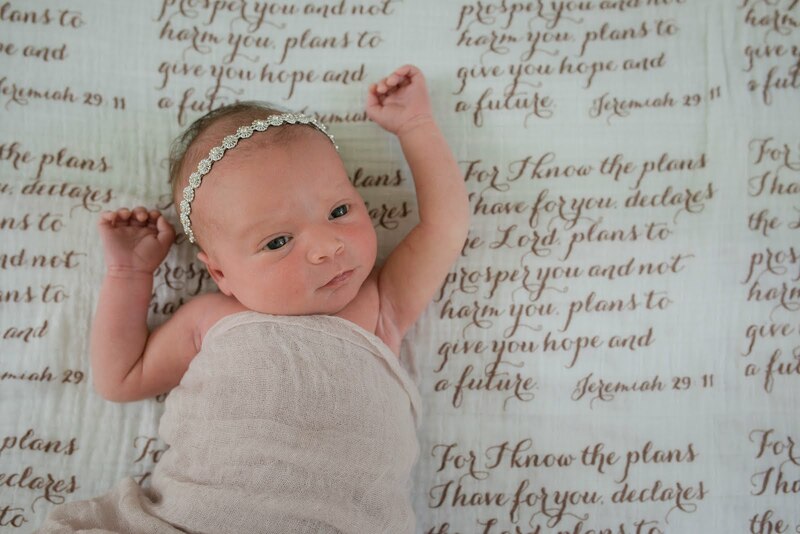 We were chosen by her beautiful birth parents in mid-October with her due date around Thanksgiving. 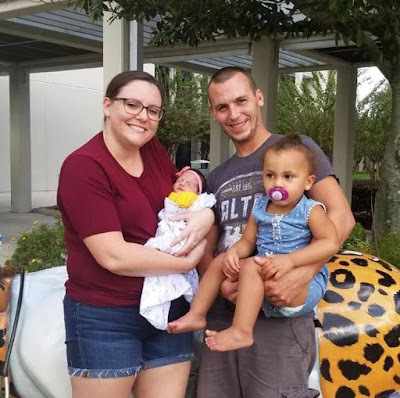 The weekend before Halloween, we traveled to Florida to meet her birth father and mother. What a blessing it was to meet both birth parents. We spent the weekend learning about their lives and how they became the people they are. We spent time at the beach and learned what they planned on naming Elli when she was born. They wanted to name her Isabella. 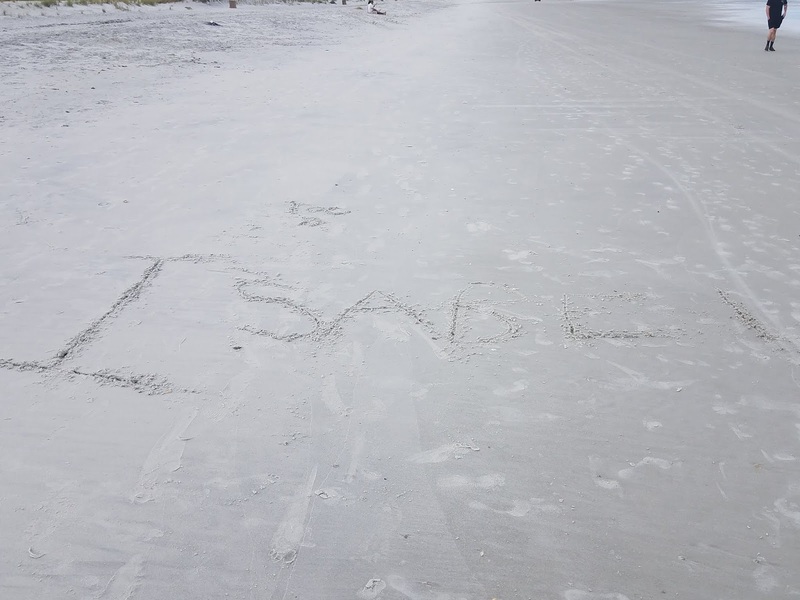 As the four of us talked and walked along the beach, we stumbled upon a name written in the sand -- "Isabel". We were in complete shock as the beach is very large and the chances of us walking upon that name could only mean it was a sign from God. It was a beautiful moment that I will never forget. That moment gave us all a little sigh of relief, and I knew right away that Isabella needed to be part of sweet Elli's name. We returned home on a Sunday and three days later on Halloween little Elli was born. Once again we dropped everything and in complete chaos made it to meet our sweet Elli for the first time. One thing my sweet daughters have taught me is you can travel half way across the country in a day with little to no planning! 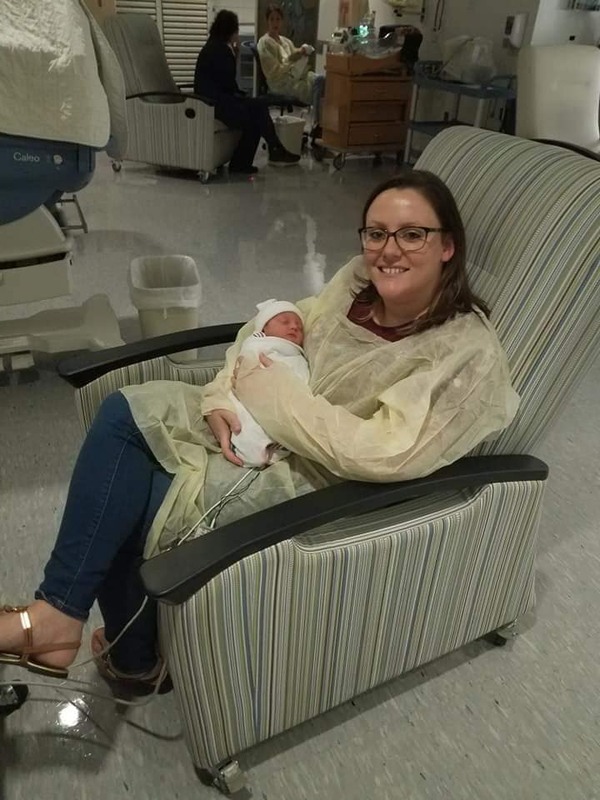 We may not have been able to be there for her birth, or have the most perfect outfit to take her first pictures in, but what we do have are memories to last a lifetime. Adoption is hard, messy, but so so worth it. Adoption made our family and we feel so blessed. I would not change one single thing about our journey, not even the infertility, the debt, the anxiety, or the sleepless nights because our daughters are our life. They have changed us into better people than we were before. 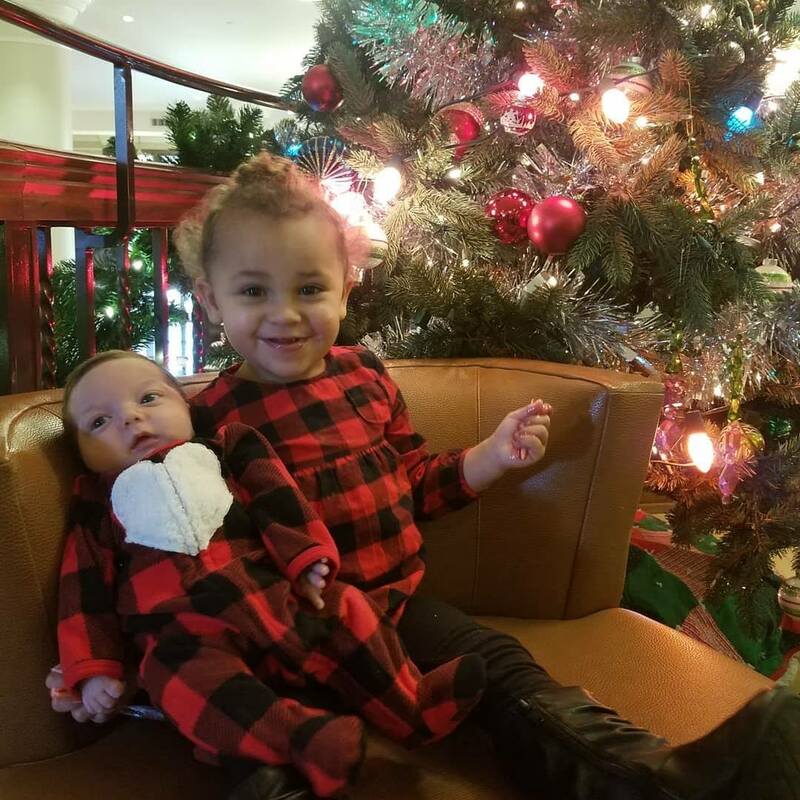 We have extended birth family that we love with all our hearts, and we have been given the gift to be parents to these two beautiful girls. As Christ followers, God's word teaches us that this life will not be free of hardships. In fact, trials in this life are an expectation for believers. The beauty of trials is they develop in us a longing for heaven. They shift our eyes off of our wordly affections and remind us to keep our focus on eternity. I've learned so much from Joel and Lori as I've watched them rely on the Lord as they navigated unexpected trials and devastating loss. While their story is unique and tragic, it is also incredibly beautiful. It's a story of a family who set aside their agenda to follow His. What an honor it is to have them share today about their precious son, Caleb, and all that his life taught their family. Lori and I had both been looking for a way where we could both serve God together. We were each involved with different things, but we felt we were always serving God separately. So in 2016, we made the decision to adopt. We thought this would be a great way for us to serve God as a family. Looking back on that decision, it brought us closer together than we could have ever imagined. My two biggest fears when we felt God calling us to adopt were that 1) a birth mom would choose to parent at the last minute and 2) that we would have a sick child. On December 20th, 2017, fear #1 came true. The expectant mom that we had been matched with 4 months earlier, went into labor, so Lori and I jumped on a plane and flew to Florida as quickly as possible. We were sitting in our rental car a few blocks away from the hospital when my phone rang. It was the adoption agency telling us that the birth mom had chosen to parent and that we needed to fly back to Houston. The child we had been dreaming about was gone. We felt betrayed and were completely devastated. We were matched again in January with an expectant mom who was due in May 2018. Hope was alive again and we were confident that this sweet boy was ours. On February 20th, 2018, fear #2 came true. 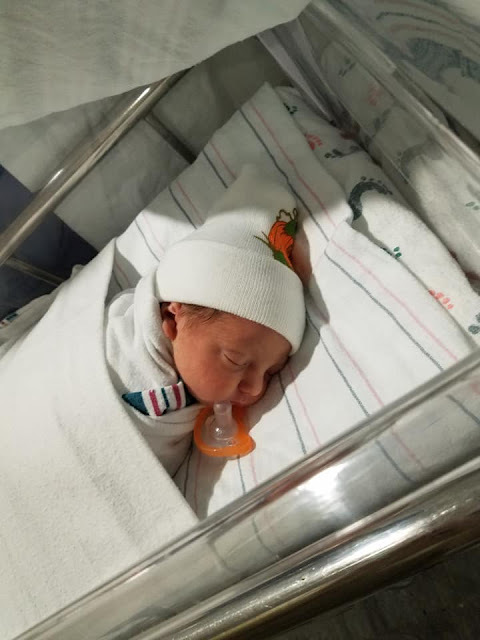 Our son, Caleb, was born on 2/2/2018, at just 23 weeks. He weighed 1 pound 5 ounces and was 11 inches long. 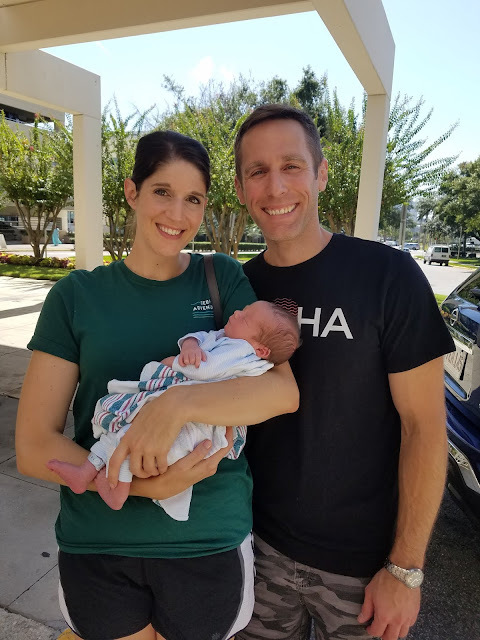 Due to his prematurity and the infection surrounding him in the womb, he was, as the doctor said, “not born alive.” The doctors performed chest compressions to revive Caleb. He fought hard for 18 days, but eventually his body started shutting down. He had a disease in his intestines. His kidneys stopped working. The doctor’s performed surgery on Caleb on February 19th where they removed six inches of his bowels. Six inches on a child that was only 11 inches long. Hours after the surgery, it became clear that Caleb was not going to survive. They unplugged his tubes and let Lori hold him for the last few hours of his life. He passed away in Lori’s arms. The son we had been dreaming about was gone. My two biggest fears came true in a two month timespan. This is not what I was expecting from our adoption journey. 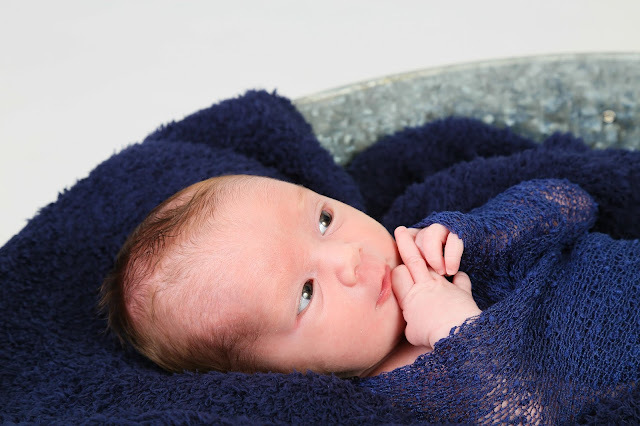 My expectations were to bring home a beautiful baby boy that would be loved and cared for in a Christian home. 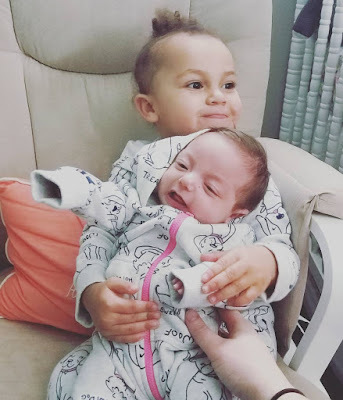 My expectations were to watch Caleb grow into a loving brother that would adore his two sisters. My expectations were that Caleb would grow up to be a caring husband that would love his wife and eventually have children of his own. These expectations were not met. Naturally, as you go through an experience like this, so many different thoughts go through your head. I went from sadness to anger to confusion over and over again. For years, I knew God was calling us to adopt, but I ran from it. I used every excuse in the book, but the excuse I used the most was the cost. Adoption was too expensive. We couldn’t afford it. However, through friends, family, and people we had never met, God provided the funds we needed. He will provide for you, too! God knew there was a little boy about to be born who would need a family to love him for just 18 days. We were that family. The pain can be unbearable at times, but even in the pain, it is such an honor to be Caleb’s parents. To show him that his life had meaning, and he was and is worth every ounce of grief we still feel. We committed to Caleb long before he was born, and we were even more committed to him after he was born. We committed to love Caleb for as many days as God allowed, and we would make sure that Caleb knew he was wanted and loved by his family. I flew back to Houston to care for our girls and Lori stayed in Florida to care for Caleb. Lori sat next to Caleb for 18 days. She changed his diapers and sang him songs. She prayed over him and told him about his sisters. She held him as he breathed his last breath and watched him as his soul left his body and into the loving arms of Jesus. So what has God taught me through Caleb? He made me a better husband. He made me a better father. He brought me closer to God. He made me understand that the Christian life isn’t about me. He has changed my outlook on what is important in life. He has helped me stop striving for a perfect life. He has helped me better understand the miracle of eternity and everlasting life. He has made me realize how short our time on earth really is. He has helped me better understand the sanctity of life. He has helped me to better cope with this broken world. After our experience with Caleb, our lives have changed dramatically. Lori and I knew that God was not done with us, and that Caleb would not be the end of our story. 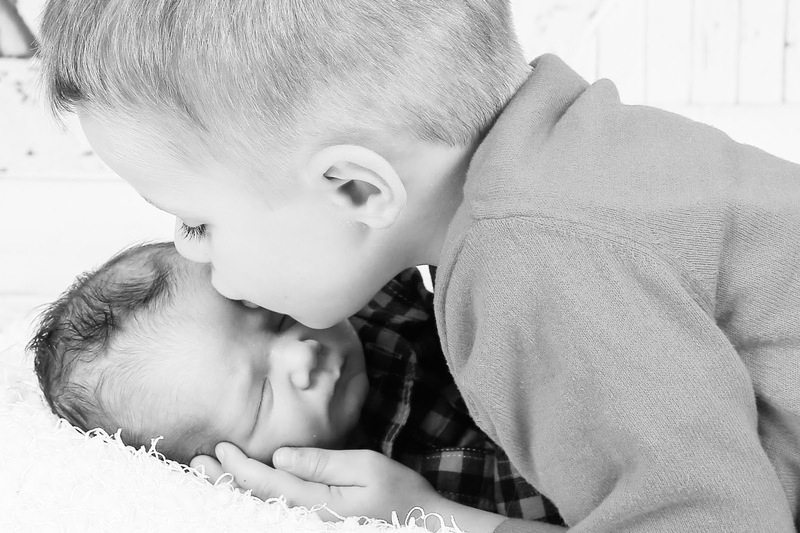 It is because of Caleb’s life that we now realize how easy it is to love a child who is not biologically ours. It is because of Caleb that our hearts and minds have been opened and made aware of the need to love kids who are not born with the same opportunities that we were given. Because of Caleb, we have recently started working as house parents with an organization called Boys and Girls Country. If it weren’t for Caleb, we never would have pursued something like this, but that’s how God works. Even in the depths of our sorrow, He was still leading, guiding, and preparing us for what was next. There isn’t a day that goes by that we don’t talk or think about Caleb. Our daughters talk about him all the time and they each sleep with one of his blankets, so they can remember him. As you pursue adoption or wait for the phone call that will change your life saying you’ve been matched, you will have many fears and face many uncertainties. We urge you to push through those fears and trust God to work out all of the details. Our story is unique and tragic, but God has carried us through and we are beginning to see the light again. Things don’t seem as dark as they once did. Whatever story God has written for you through adoption, you can rest assured that He is faithful to complete it! As Lori so beautifully said "...at the end of the day, there was a little boy who needed a family to love him for 18 days. For reasons we will probably never know or understand, God chose us to be that family. Oh how I have a deep longing for Heaven. To feel no more pain, hurt, or sadness. To see our Caleb whole and healthy and to have this heavy burden lifted from my shoulders. That day will come, but until then, there is a child out there who needs you to stand in the gap for them. To advocate on their behalf and to show them that they are worthy to be loved, despite their brokenness. It is scary to trade a life of comfort and familiarity for one of uncertainty and brokenness. Despite what we've been through with Caleb, I stand here to say that it is worth it." Thank you Joel and Lori for sharing your story! What a beautiful reminder it is that love is never wasted! Matt and Kerry are such a sweet couple, and I knew after talking with Kerry over the phone that I was going to enjoy walking them through this process. 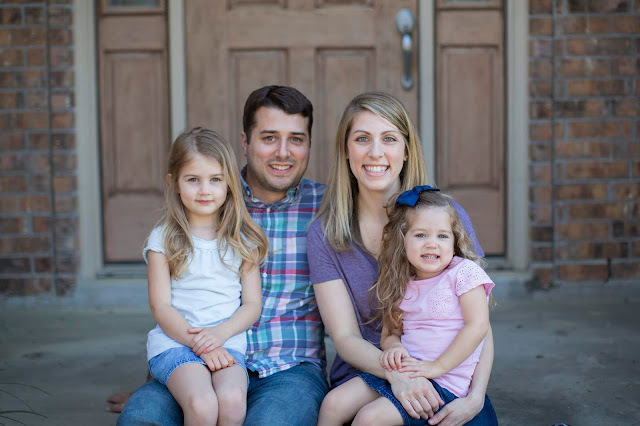 They got started with Christian Adoption Consultants last summer, and as they worked on their home study, we created their custom profile book for them. A few short months later they were home study approved and began walking forward in faith as they presented their profile to potential adoption situations. This spring on Matt's birthday they heard about a precious baby boy who had been born several weeks early. A few days later that little guy's brave birthmama chose them and they were traveling to meet their new son. Kerry shares more of their story below. Matt and I have prayed for a child for 4 years, and after 3 years we knew God was calling us to adopt. We began our adoption journey in August of 2017. We were referred to Leah with CAC by a friend also going through the adoption process. After speaking with her, I knew we needed a consultant through this process, so we interviewed a few others, but it was obvious CAC was the place for us. We were home study approved by October and began seeing birth mother situations. We presented to probably 8 situations throughout our journey, and every no was tough but Leah was always there to remind us it is all in God’s plan. We were presented Duke’s information on Matt’s birthday in April. He was born at 30 weeks and was almost 2 weeks old. We immediately knew we wanted his birth mother to see our profile, but then we didn’t say another word about it. By this time, we knew not to get our hopes up. Two days later we got the amazing phone call that we were chosen to parent our little angel. The moment we met Duke we knew why all the other times were no…Duke was meant to be our son. We arrived at the NICU and got to hold Duke for a few hours, then we were very lucky to get a room in the Ronald McDonald House. The next day we got to meet his birth mother. We were so nervous, but the time we spent with her was priceless. There is nothing like getting to see how much your child is loved by their first family. We then spent our days with Duke while he learned to eat from a bottle and worked on gaining weight. While we were in the NICU we got a call from Leah that another CAC family was at the same hospital and RMDH. It was so nice to meet and spend time with another family going through the exact same thing, and we became fast friends. 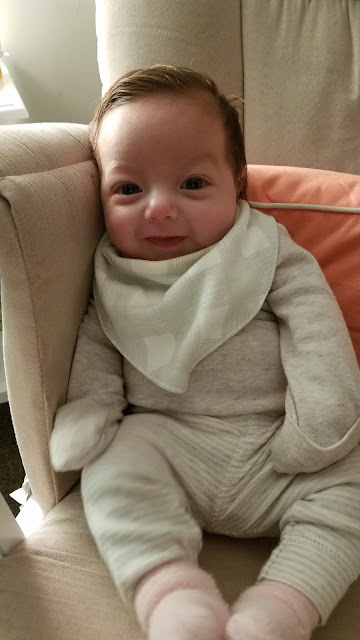 Although we were supposed to be in NICU for 2 months, our little guy is a fighter and we were out in 2 weeks! Now we are home and are amazed by Duke every day. We are so thankful for Leah and CAC. She was there every step of the way to answer every silly question I had. Congratulations, Matt and Kerry! I loved watching your story unfold! Today Kyle and Haley are sharing their journey to their precious baby girl. Like most adoptions, their journey took some unexpected turns. Looking back it's clear that while those turns felt unexpected to us, they were all a part of God's perfect plan for their family. I will never forget when their adoption caseworker forwarded over the potential adoption situation. As soon as I read through it, I thought of Kyle and Haley and what a perfect fit it would be for them. Sure enough the expectant mom fell in love with them and just a few days later their daughter was in their arms! Haley shares their story below. Kyle and I started our adoption journey in June of 2017. After we made the decision to adopt, I started researching it as much as I could. I would search different adoption hashtags on instagram and read the stories that I found through doing that. While I was looking I kept seeing several people talk about Christian Adoption Consultants and Leah! After talking on the phone with Leah, we knew that we wanted to be working with her. 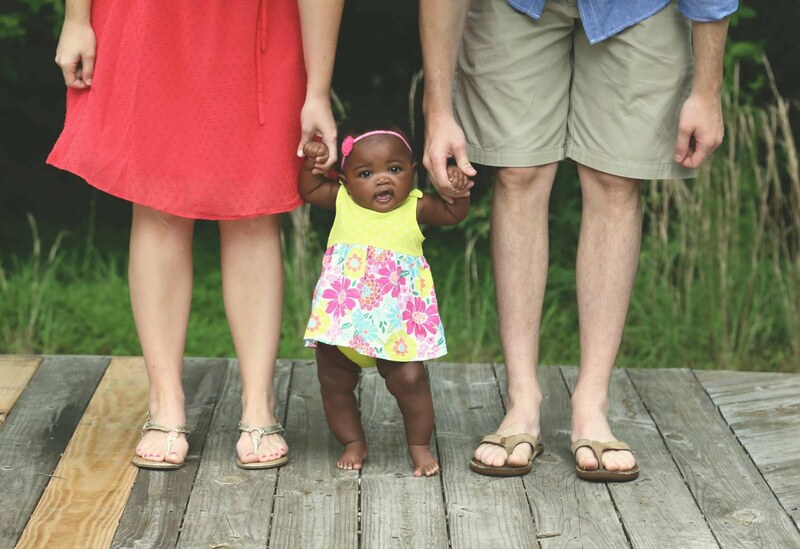 Adoption can be very overwhelming and we were so new to the process we didn’t even know where to begin. Right from the start Leah provided us with so much information that helped us get started. The information packet that CAC provides is incredible. The day Leah sent it to us I read almost every word just so I could start to better understand the process we were beginning! After all the paperwork and home study was complete, we were officially a waiting family in September. I remember the day we had everything turned in and Leah sent us our first situation to look at! I was so excited and anxious. After a couple weeks we presented to a situation for the first time. We were so hopeful and felt very good about that situation, so when we were not selected we were devastated. The waiting part of adoption is brutal. After about 4 months of applying and waiting, we were chosen by an expectant mother! We were absolutely thrilled! We spent the next month preparing and waiting to meet our baby. Long story short, ultimately this placement fell through at the last minute. It was very unexpected and left us feeling confused and hopeless. After our placement fell through I took some time off of work to try and process what had happened so we could move forward. The first couple weeks were so difficult, but eventually we returned to our normal routines and went on with life. About 2 months passed before we saw another situation we felt like we should present our profile to. We decided to present our profile on Friday, but we had family in town visiting us so we tried not to think about whether or not we would be picked too much! Monday around lunch time, we got a call that the expectant mother had chosen us! We now had 2 weeks to get ready to bring our baby home! Later that evening we got a second call from our agency. The case worker introduced herself, and then asked me how I felt about everything happening so fast. I said 2 weeks is quick, but were so excited and were going to make it work. She replied and told me that the birth mother was having some health issues, so they were going to do a c-section that night!! We needed to be on a plane ASAP! After the shock wore off, we quickly got to work packing/getting ready and we were on the first flight the next morning! Sage was born on Monday night around 11:30 PM and we made it to the hospital around 7:30 AM the next day. We spent the next several days snuggling Sage and spending time getting to know her birth mother. 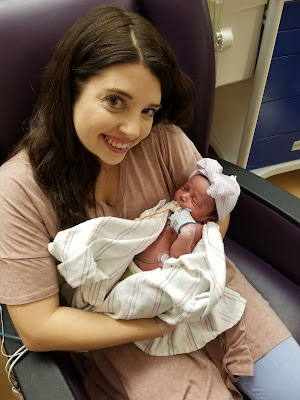 We were very nervous about meeting Sage’s birth mother since the previous mother we had been matched with changed her mind at the last minute. Because everything happened so quickly, seeing her at the hospital was the first time we ever spoke with her. It went much better than we expected, and we enjoyed the time we spent with her. After about a week and a half we got to travel back home with Sage. Sage took her first plane ride at 8 days old, and did great! Since coming home Sage has met so many friends and family who love her so much. 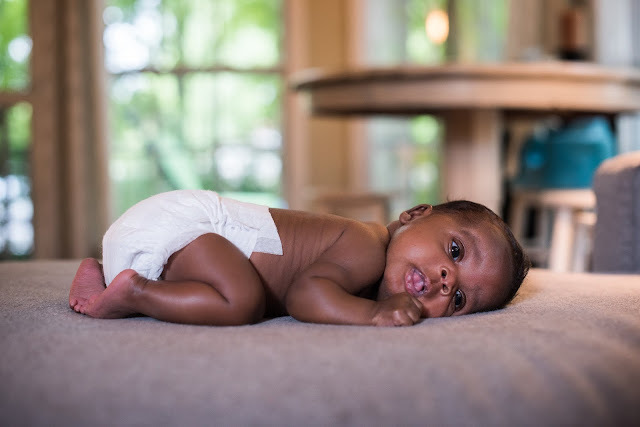 Adoption can be a challenging process, but we cannot imagine life without our little Sage. She gets cuter and cuter everyday and is such a blessing in our life! We love her so much! Could she be any cuter?!! Congrats Kyle and Haley!